Rats and Mice can be a much bigger problem than you think! Rats and Mice are a major problem for many in North Texas. Rodents can get in a hole the size of a dime. They will leave lots of droppings. These can carry diseases. Rodents will urinate in areas they nest and travel. They can also chew on electrical wiring in a property. They will also leave marks where they travel. These are sometimes referred to as swing marks or rubs. You can sometimes smell the rodents. Rodents can chew entry holes to get into properties. To determine the level of infestation and type of infestation an inspection will be done. Entry areas will also be determined. Rodents can travel up to 150 yards. They reproduce rapidly. When left uncontrolled they can become a major problem. You need a pest control company who can take care of it. There are pest control services available to help control rodents. We offer one-time Treatment and Exclusion Services. Give us a call to discuss the options that are best for you. 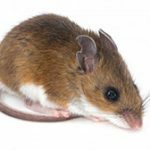 We offer rodent control for home pest control as well as for all commercial and industrial facilities. CALL TODAY FOR YOUR EVALUATION!